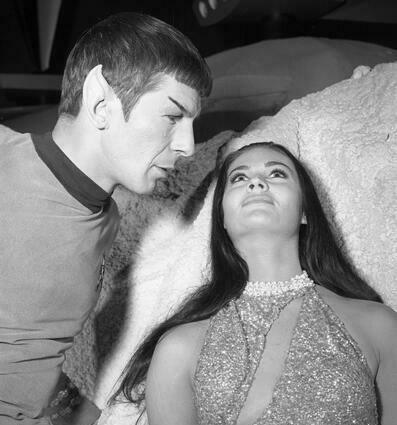 I’m always happy to find publicity photos for original Trek episodes. Recently I came across a few I had never seen before! 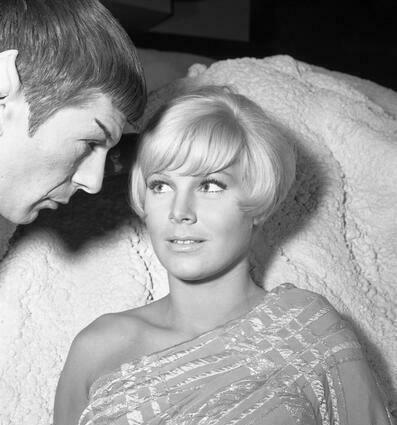 It makes me wonder if there were publicity pictures for every episode made? (Wouldn’t that be great?) Well, I’ll keep searching! Here’s some fun ones for now from This Side of Paradise, Mudd’s Women, and Spectre of the Gun! I find the Mudd’s Women’s ones especially funny! 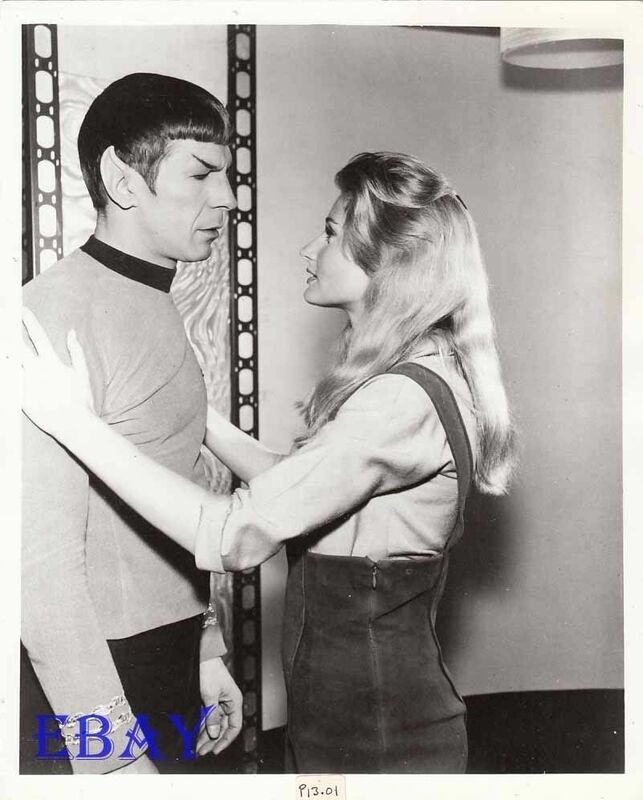 This entry was posted in Leonard Nimoy, Publicity Photos and tagged Leonard Nimoy, Publicity Photos. Bookmark the permalink. Great photos, although I wonder why they posed him so often with women. The shot of him and Jill Ireland is enough to break my heart again. For the Mudd’s Women ones, was he inspecting them for fleas? Well bruiser, maybe it was to suggest that he was so unemotional after all! And Winston, well, they are laying on fur pieces; maybe it’s lice inspection! OR maybe he’s going in for a kiss, at least I’d like to think so! 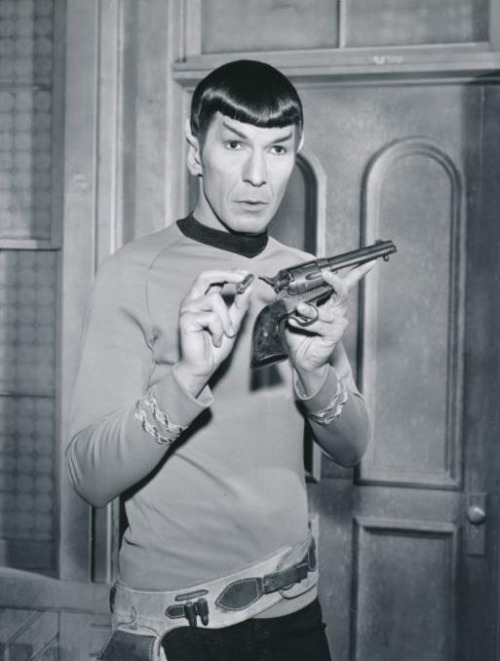 Mr. Nimoy’s eyes often look a lot rounder or more open in publicity photos — like in that one with the gun — than they do in screenshots from the actual episodes. I wonder if they instructed him to open his eyes extra wide when they were taking publicity photos, or if they retouched them somehow?